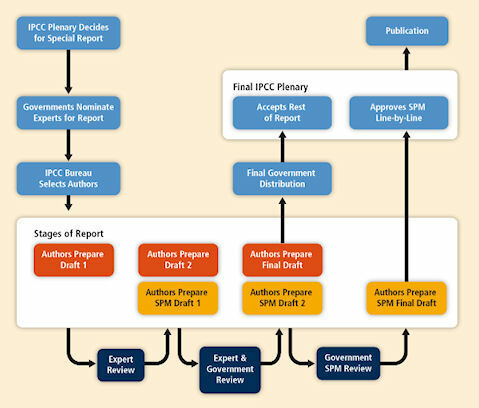 Well, the “full” [1,000 page] version of the Intergovernmental Panel on Climate Change (IPCC)’s Working Group III’s “Special Report” urging the expenditure of trillions, won’t be available until May 31. And the IPCC 33rd Session isn’t due to start until tomorrow, May 10 – at least according to their Provisional Agenda. Strangely, unless the “Special Report on Renewable Energy Sources and Climate Change Mitigation (SRREN)” has a secret code name, this “Special Report” does not appear on this Agenda, nor on the “Annotated Provisional Agenda” … ooops …make that the “Provisional Annotated Agenda“. I also took a look at the “Provisional Agenda” for the 11th Session of Working Group III – submitted by the IPCC Secretariat. (Sorry, no “Annotated” version available for this May 5-8 Session.) And there’s no indication I could detect of any item which would suggest “approval by the IPCC”. The summary is a short version of a roughly a thousand page comprehensive assessment compiled by over 120 leading experts from all over the world for IPCC’s Working Group III. Quite the image, eh? Unlike the ‘monopoly‘ board that depicts the procedures of the Assessment Reports, this one brings to mind (well, my mind, at least) the game of “Snakes and Ladders”. But rest assured, this report did not come out of the blue (nor did its somewhat foregone conclusions). The full chronology of this report’s gestation period is, well, a little fuzzy. A “scoping meeting” had been “organised to support a decision on the Special Report by the IPCC Plenary, which was held in Lübeck, Germany from 20 to 25 January 2008.” Your guess is as good as mine as to whether it was the Plenary or the “scoping meeting” that took place on those dates. Nonetheless, predictably, the IPCC “approved the development” of the SRREN at the 28th meeting held in Budapest in April 2008. For anyone who’s counting, the First Order Draft – prepared by ‘experts’, of course – generated 8,775 comments, while the second draft generated 14,021. Add to these the 1,286 comments on the second draft of the Summary for Policymakers (SPM) and the “additional government review of Chapter 9” which is billed as “Renewable Energy in the Context of Sustainable Development” and which resulted in 684 comments – both of which must be really, really important, because they were mentioned on two consecutive slides (10 and 11). And their grand total of comments received is 24,766 – which is the same as the total of the numbers above. Given the IPCC’s … uh … history with number games, this is somewhat reassuring. Before publication, any SPM changes affecting chapters are included and redesigned figures are added to the Report. Most IPCC reports are published commercially. 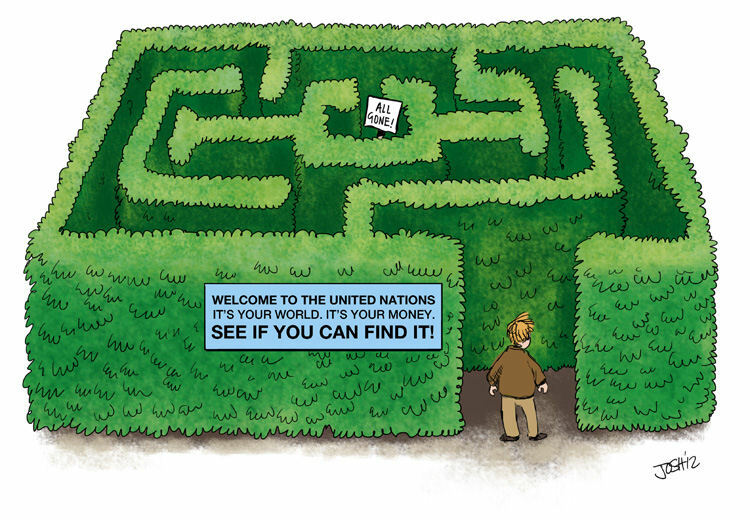 A limited number of free copies can be provided to experts from developing countries and countries with economies in transition. One thing that is conspicuously absent from the official fanfares and verbiage surrounding this masterpiece is any mention of ‘peer-reviewed’ (or non-peer-reviewed for that matter). Or at least none that I could find! Looks like “peer-reviewed” literature might be as scarce in this report from WG III as it was in WG III’s contribution to AR 4. Look, ma! No hint of references! No mention of nuclear energy? Exactly. It is seriously annoying that the IPCC thinks the most important thing it can tell us about their “expert” authors is their country, followed by their institutional affiliation. The public has a right to know exactly what expertise these people actually have. In other words, we should be provided with a direct link to the person’s CV. When authors are nominated for IPCC duty, their CVs are supplied. Why does the IPCC then lock these CVs in a drawer? There should be public access to the CVs of people who were nominated but not chosen. That way we could form an opinion about whether the best experts were actually selected by the IPCC – and whether some countries are nominating bureaucrats and politicians rather than genuine experts. The tremendous work that you have done, Donna, on uncovering that which the IPCC would probably much prefer to have kept under wraps has been a valuable public service.